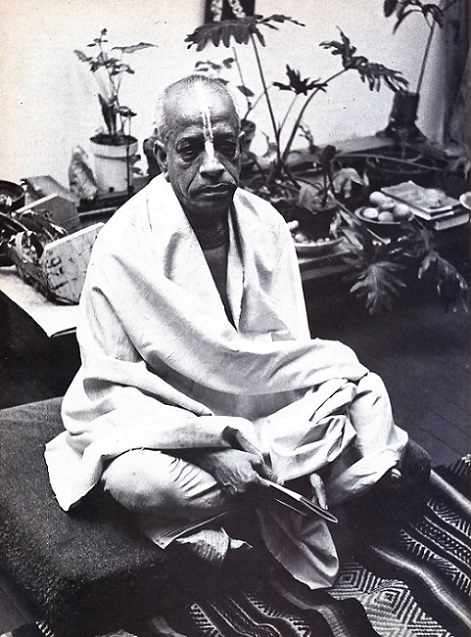 Journalist Howard Smith interviewed Srila Prabhupada for the Village Voice newspaper in June, 1966. Mr. Smith was famous for interviewing 1960s counterculture icons such as George Harrison, John Lennon, Mick Jagger, Jerry Garcia, Jim Morrison, Janis Joplin, Allen Ginsberg, Abbie Hoffman, etc. By interviewing Srila Prabhupada before the Hare Krishna movement took hold in the West, Howard Smith unwittingly landed the biggest interview of his career. Howard Smith: So I went down there and went upstairs into this very funky artists' loft. There were carpets all over the place, old and worn out, and a lot of people sitting around in various kinds of hippie garb, plus what I think they must have thought was Indian garb. Most of them were sitting alone around the room facing the wall, like they had nothing to do with each other. They were sitting cross-legged, and each one seemed to be doing something different. Nobody paid any attention to me when I walked in. I saw shoes lined up and I thought, "Maybe I am supposed to take off my shoes," but nobody said anything to me. So I walked around the edge of the carpet, looking for somebody to pay attention to me. I wondered what was going on and I didn't want to interrupt anybody, because they all seemed deep into whatever kind of prayers they were doing. In the back of the loft I noticed a little curtain—an Indian madras type of curtain—and so I decided to peer into that area. I looked in and there was Swami Bhaktivedanta sitting there cross-legged in saffron garments, with the markings on his forehead and nose and his hand in the bead bag. Even though he looked like the real thing, he seemed more approachable and I said, "Hello," and he looked up. I said, "Swami Bhaktivedanta?" and he said, "Yes." I said, "I am Howard Smith." I was expecting to sit down, so I said, "Excuse me, I have to take off my shoes," and he said, "Why do you want to take off your shoes?" I said, "I don’t know—I saw all the shoes out there." And he said, "I didn't ask you to take your shoes off." I said, "What are all those people out there doing?" and he said, "I don't know. And they don't know what they're doing. I am trying to teach them and they seem to be misunderstanding me. They are very confused people." Then we sat and talked and I liked him a lot right away. I mean, I’d met a lot of other swamis and I didn't like them too much. I don’t think it's fair to lump them all together and say, "Those swamis in India." He was very, very basic, and that's what I seemed to like about him. He not only made me feel at ease, but he seemed very open and honest—like he asked my advice on things. He was very new in the country. I thought his ideas stood a good chance of taking hold because he seemed so practical. His head didn't seem to be in the clouds. He wasn't talking mysticism every third word. I guess that is where his soul was at, but that isn't where his normal, conversational consciousness was at. Then he told me that several people had told him that the Voice would be a very good place to be written up, and that basically it would reach the kind of people who already perhaps had a leaning or interest in what he was preaching. I said I thought he was correct. He asked me if I had read any books or knew anything about Indian culture. I said no, I didn't really. We talked a little and he explained to me that he had these books in English that he had already translated in India. He handed those to me and said, "If you want more background, you can read these." It was obvious to me that I was not talking to some fellow who had just decided that he had seen God and was going to tell people about it. He seemed to be an educated man, much more so than myself. I liked his humbleness. I just plain liked the guy. He explained everything I wanted to know—the significance of what he was wearing, the mark on his forehead, the bead bag. I liked all his explanations. Everything was very practical. Then he talked about temples all over the world and he said, "Well, we have a long way to go. But I am very patient." "It's rare that an interviewer helps to shape his era as much as his best-known subjects, but that is the case with Howard Smith. 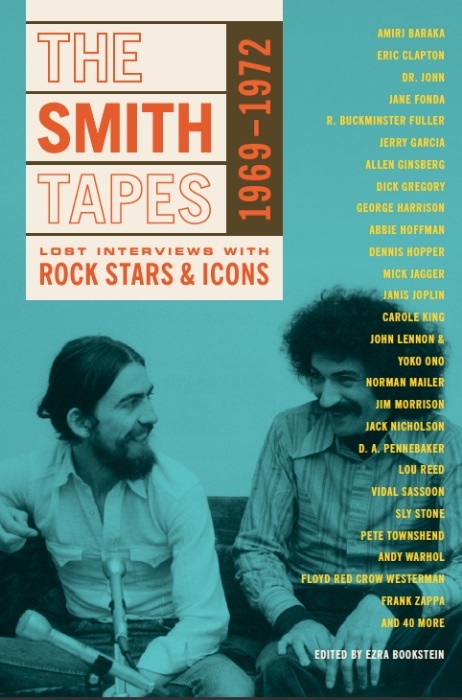 Smith reported from inside the counterculture, which built trust with his subjects, but his intelligence, curiosity and tenacity take these conversations to places to places no one could have predicted—even Smith himself. These interviews—with writers, rock stars, filmmakers, politicians—have lost none of their immediacy. Decades later, they remain gripping, essential reading."